Thriving research institutes and centers at the University of Delaware reflect the diversity and rigor of UD’s research interests and activity as well as our commitment to improving the quality of life in Delaware and beyond. Our academic landscape is shaped by these partnerships and plays a strategic role in bringing scholars and scientists together at UD. UD ADVANCE is meant to implement large-scale comprehensive change that will increase the representation and advancement of women faculty in academic science, technology, engineering and mathematics (STEM) careers, thereby contributing to the development of a more diverse science and engineering workforce. Explore these pages to learn more about the program’s mission, people and history as well as how you can get involved. 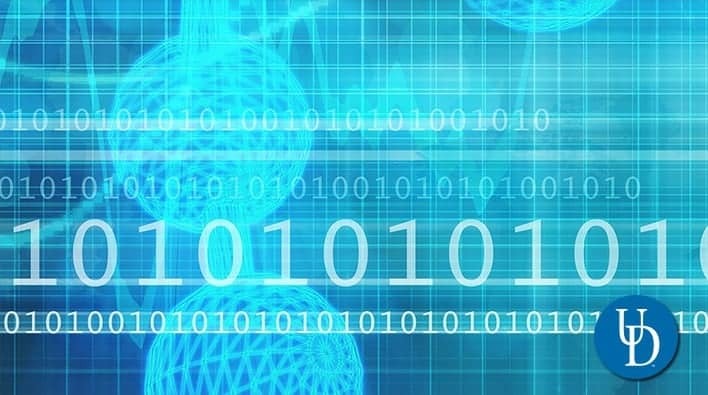 As the vast resource of new and diverse datasets are rapidly becoming available in nearly every aspect of life, data science has the potential to advance human understanding in all branches of science and humanities, and, address grand challenges facing society. The Institute plans to combine disparate, dynamic, and distributed datasets and enable everything from predicting the future behavior of complex systems to precise medical treatments, smart energy usage, and focused educational curricula. The mission of the Data Science Institute is to accelerate research in data science, serving as a nucleating effort to catalyze interdisciplinary research collaborations across fields impacting our society. These resources are available to anyone doing research in DBI as well as to members of the academic life science community in Delaware. In some cases, specialized training and safety training is required prior to use of the equipment. For access to these resources, e-mail Robert Pekala or call (302) 831-3439. Autoclaves for microbial and cell culture studies. Biological Safety Hoods for mammalian, viral, plants and other specialized work. Water Purification Units available in each laboratory. The Delaware Biotechnology Institute has a large meeting room on the first floor. The room can hold approximately 130 people with a seating capacity of 90. The room is equipped with audio/visual equipment and wireless internet. Also available is a formal meeting room which can comfortably hold 12 people and a video conferencing room with an informal meeting space for 6-10 people. For more information and pricing or to reserve conference rooms, please send an e-mail to events@dbi.udel.edu. Energy is the driving force of our everyday life and will likely represent the currency of the future. Thus it is not surprising that the issues associated with its supply and utilization have become a dominant focus of modern society. It is now more imperative than ever to consider energy in a comprehensive and holistic manner in order to meet the needs of humanity while minimizing the costs and environmental impacts associated with energy production and consumption. Our vision is to serve as a leadership resource with regional, national and international impact, creating and integrating new solutions to challenges in energy sufficiency and sustainability. The mission of DENIN is to conduct research and coordinate partnerships that integrate environmental science, engineering and policy in order to provide solutions and strategies that address environmental challenges. The institute fosters a culture of scholarship that leverages the combined talents of our affiliates and fellows and adds value to environmental research, education and outreach efforts through collaborative working groups, joint proposal development and project resource coordination. Our vision is to develop an internationally recognized community of faculty, staff and students in environmental science, engineering, social science and policy, supported by state-of-the-art facilities and an effective management process, who can compete successfully for interdisciplinary grants, provide research-based educational opportunities, promote economic development and contribute to the environmental health of the state, the region and the world. The Delaware Rehabilitation Institute (DRI) provides an atmosphere where interdisciplinary research merges with education and practice to advance science. DRI is the leading national center for physical rehabilitation research. Located on UD’s Science, Technology and Advanced Research (STAR) Campus, DRI promotes high-quality interdisciplinary research within a scholarly environment that enjoins learning, discovery and community in rehabilitation practices. Established at the University of Delaware in 1972, the Institute of Energy Conversion (IEC) is devoted to the research and development of thin-film photovoltaic solar cells and other photonic devices. The IEC is a totally integrated laboratory, focused on fundamental materials and device research carried out in parallel with process engineering studies and analysis of film deposition and processing. This enables the correlation of the properties of completed devices with their fabrication, all in the same lab. Close collaboration between IEC staff and industrial partners ensures that the research is relevant and includes state-of-the-art process development. The IEC laboratories have a vast array of equipment – often custom- designed and built – to further our studies fulfill requests on behalf of our partners. Below is a list of current equipment being used in the IEC labs. Our equipment list changes constantly, and new pieces are added depending on project requirements. Roll-to-Roll inline deposition system with four elemental effusion sources and in-situ flux control for depositing Cu(InGa)Se2 thin films onto a 15 cm wide moving web. Four-source elemental evaporator for depositing Cu(InGa)Se2 onto an array of nine 2.5×2.5 cm substrates. Four-source elemental evaporator for depositing Cu(InAl)Se2 onto an array of nine 2.5×2.5 cm substrates. Five-source elemental evaporator for depositing Cu(InGa)(Se,S)2 onto an array of nine 2.5×2.5 cm substrates. Vacuum evaporator configured for reacting Cu/In/Ga or other layers using Se and/or S evaporation sources. CVD reactor for reacting Cu/In/Ga or other layers with H2Se and/or H2S gas. Vapor transport deposition system for depositing II-VI compounds onto moving 10×10 cm substrates in inert or reactive ambient over wide range of pressure and temperature. Three-source evaporator for depositing II-VI compounds and alloys. Hot wire chemical vapor deposition for depositing a-Si:H and polycrystalline Si thin films and devices. Six-chamber, in-line, plasma enhanced chemical vapor deposition for depositing a-Si:H and a-SiGe:H films and devices. Reactor for RTP treatment of films and wafers. Reactor for treating films in halide vapors. Chemical bath (CBD) and chemical surface (CSD) deposition of uniform CdS, ZnS and Cd1-xZnxS alloy films from 10 to 100nm thick. Electron beam evaporator with three independently controlled sources for simultaneous or single element deposition of metals. Electron beam evaporator with rotatable 4-source turret for depositing most metals and anti-reflection coatings. Electron beam evaporator with rotatable 4-source turret and two sputtering sources. Three target RF/DC sputtering system for deposition of Mo, ZnO, and ITO. Four target DC magnetron sputtering system for deposition of Cu, In, Ga, Mo, and other metals. Kurt Lesker six target RF/DC sputtering system with load lock chamber. Small sputter coater for deposition of ultra-thin metal layers. Crest Ultrasonic substrate cleaning and drying facility. Assorted tube furnaces and drying ovens for heat treatment and reaction in air, argon, nitrogen, hydrogen, oxygen, and hydrogen-argon. Full positive photolithography capability including spin coater, Suss Mask Aligner, and well established etching procedures. Circulating de-ionized water facility with 11 stations and one Barnstead NanoPure water station. Amray 1810T Digital Scanning Electron Microscope (15X to 100,000X) with Energy Dispersive Spectroscopy (EDS) and Electron Back-Scatter Imaging capabilities. Perkin-Elmer Lambda-750 UV-visible-IR Spectrophotometer fitted with integrating sphere. Philips/Norelco Scanning Wide Angle X-ray Diffractometer with diffracted beam monochromation (CuKa) and digital control/acquisition. Philips Scanning Wide Angle X-ray Diffractometer with diffracted beam monochromation (CuKa, CrKa, CoKa), variable slits and digital control/acquisition. Rigaku D/Max Scanning X-ray Diffractometer with symmetric theta-2 theta and asymmetric glancing incidence geometries, variable slits, hot stage (to 450°C), and computer control/acquisition. Physical Electronics XPS system with load-lock sample preparation chamber and differentially pumped Ar ion gun for depth profiling. Digital Instruments Dimension 3100 Scanning Probe Microscope with capabilities including tunneling, electrostatic force, and magnetic force microscopy. Olympus Optical Microscope with reflected, transmitted, and polarized illumination. Accessories include Nomarski optics and dual axis stage with verniers. Woollam Variable Angle Spectroscopic Ellipsometer. Light and dark conductivity as a function of illumination intensity and temperature. Current-voltage testing as a function of illumination intensity, spectral content, and temperature. Two Oriel Xenon solar simulators (AM1.5 global spectra). Spectral response with light and voltage bias capabilities. HP4274 LCR meter for capacitance measurements as a function of illumination intensity and temperature. Laser scanning facility-optical beam induced current. Four-pod accelerated stress exposure facility, allowing up to 16 samples to be independently monitored and maintained under different states of controlled atmosphere, illumination, electrical bias and temperature. US Laser two-wavelength (1064nm, 532nm) laser scriber. Asymtek Mechanical scriber and High resolution ink jet printer. The NIIMBL mission is to accelerate biopharmaceutical manufacturing innovation, support the development of standards that enable more efficient and rapid manufacturing capabilities and educate and train a world-leading biopharmaceutical manufacturing workforce, fundamentally advancing U.S. competitiveness in this industry. The U.S. Department of Agriculture established agricultural experiment stations in connection with state land-grant universities to provide farmers with practical, science-based information. The need for a southern Delaware location to assist in carry­ing out research projects was realized in the establishment of an Agricultural Experiment Substation near Georgetown, Sussex County, in southern Delaware, an extension of the UD experimental farm in Newark. Today, research includes vegetable crop research, specifically on lima beans and watermelon; weed management studies; agronomic crop trials for soybeans, corn and sorghum; and nutrient management studies. The Winterthur/University of Delaware Program in Art Conservation began in 1974. It was established as a joint program following the precedent set by the Winterthur Program in Early American Culture that began in 1952, with a master’s degree awarded by the University of Delaware. Henry Francis du Pont, founder of the Museum, understood the need for conservation; he had invited Harold Plenderleith of the Rome Center to visit the Museum to advise on environmental control and fire prevention in the late 1950s. Mr. du Pont envisioned a master’s program in art conservation when a new Research Building was opened in 1969. After his death, a committee composed of University and Museum representatives continued an investigation into the establishment of a graduate program in conservation. Visits were made to existing programs at the Conservation Center of the Institute of Fine Arts of New York University and to the Cooperstown Graduate Program (now located at Buffalo State College). Meeting the growing, worldwide demand for safe and affordable poultry products produced in an environmentally sound manner will require a holistic approach that links research, management and education. The Center is established to be a center of excellence for research, education and outreach programs that will provide solutions to contemporary problems in the avian biosciences. The Bartol Research Institute is a Center within the Department of Physics and Astronomy whose mission is to foster excellence in research in physics and astronomy at the University of Delaware. The Biden Institute, established at the University of Delaware’s School of Public Policy and Administration, is a world-class intellectual center and destination for scholars, activists, policymakers, and national leaders. The Biden Institute’s Mission is to influence, shape, and work to solve the most pressing domestic policy problems facing America. We are a research and policy center working to bring together the sharpest minds and the most powerful voices to address our nation’s toughest problems. The Institute is focused on the issues that have animated Vice President Biden’s public career. It is rooted in two guiding principles he has long embraced: Economic opportunity and social justice. The Institute will explore, among others, such issues as: economic opportunity for the middle class, income inequality, violence against women, civil rights and LGBT rights, civil liberties and criminal justice reform, health care reform, environmental sustainability, the state of our democracy and politics and political reform. Our approach will be dynamic – striving always to shape the conversation and serve as a leading voice in most consequential policy debates on issues facing American communities. The Center’s mission is to develop innovative heterogeneous catalytic technologies to transform lignocellulosic (non-food-based) biomass materials into fuels and chemicals. The cornerstone of CCEI research lies in advancing catalysis and its integration into processes that deliver innovative technologies for the conversion of biomass feedstocks, specifically cellulose and hemicellulose, sugars produced from the hydrolysis of biomass and smaller oxygenated molecules. CABER provides economic data and analysis to public and private institutions, businesses and the community. We use the most up-to-date research tools, software and proprietary online databases to access economic and financial data at the local, state, national and international levels. UD’s research core facilities—high-tech instruments that are shared resources, supporting studies across campus—are available to UD faculty and their collaborators. Increasingly, these sophisticated facilities are becoming critical state, national and international assets, supporting projects and programs of student and public benefit, including federally funded national centers of excellence. Protein Production: Supports the production of proteins in quantities suitable for structural studies and functional studies. Fischer Greenhouse and the Growth Chamber Facility: Serving the research and education community in state-of-the-art facilities. DBI BioImaging Center: A multi-user microscopy facility with state-of-the-art electron, confocal and light microscopes. Advanced Materials Characterization Lab: Providing for the exchange of novel ideas and science for the next generation. DRI Cytomechanics Core: Collaborative approach to address the cellular level of osteoarthritis (OA) along with prevention and treatment. UD Sequencing & Genotyping Center: Genomic research through established expertise with state-of-the-art genomics technologies. W.M. Keck Center for Microscopy and Microanalysis: State-of-the-art equipment available for research and education. Proteomics and Mass Spectrometry Core Facility: Provides services and analyses based on protein/peptide separation and identification. Provide short courses on all instrumentation on a regular basis. Agilent AES 4100 Mass Spec. Providing scientific expertise and core infrastructure support in Bioinformatics and Computational Biology for the Delaware research and education community. Available resources include bioinformatics services, consulting, training and access to computational infrastructure and software. Serving researchers campus-wide, statewide and throughout the region, the CBBI will advance research on psychopathology, cancer, stroke, cerebral palsy, osteoporosis and other diseases and disorders. Training for researchers and PI’s for all equipment and software. The Center for Translational Cancer Research is a multi-user facility, located in Wolf Hall on the main campus of the University of Delaware, which provides access to services including microCT, 3D computer reconstruction and flow cytometry (including cell cycle/apoptosis analysis) to university researchers and collaborators on a fee-for-service basis. Researchers using the facilities can be trained by our staff in equipment usage as well as software. Outside industrial users are accommodated when scheduling permits. Appointments can be scheduled to use the facility’s equipment by registering via the CTCR website. Pathology Services: Microscopic analysis of tissues for diagnostic cases and research studies, consultation on experimental design, necropsy, and specimen collection and preparation, digital photography of gross or histologic specimens. The Comparative Pathology Laboratory provides histology and pathology support for animal diagnostic laboratories of Delaware and Maryland, researchers at the University of Delaware and its affiliates (DBI, etc. ), industry and government partners of the university, and external researchers. We specialize in animal tissues and studies related to animal disease or animal models of human disease. However, we also routinely accept plant specimens for tissue processing. We strive to provide clients with customized high quality specimen preparations and thorough pathology reports to meet their individual diagnostic and research needs. We provide full-service sample preparation, data acquisition and image processing for all imaging technologies upon request. The BioImaging Center is a multi-user microscopy facility containing state-of-the-art electron, confocal and light microscopes. The center is open to all academic researchers on a fee-for-service basis. Outside industrial users are accommodated when scheduling permits. Our facility is home to several metrology and microscopy resources available for use by the UD research community. Support, operation and training are provided for users to ensure quality data and timely turnaround times at reasonable rates. For all inquiries regarding daily operations, instrumentation and usage please contact, Robert Schmidt. This is a ultra-high vacuum scanning electron microscope with cold field emission electron source enabling high resolution imaging. Fitted with IXRF Systems secondary electron detector and solid state backscattered detector for elemental analysis and mapping. Images stored digitally. User training is available for this microscope or samples can be submitted to a dedicated technician for imaging and data collection. Available modes: Contact and Intermittent topography, magnetic force microscopy, electrostatic force microscopy, scanning capacitance microscopy, Kelvin probe microscopy, spreading resistance imaging, lithography. No user training is provided at this time, but samples can be submitted to a dedicated technician for imaging and data collection. A high-precision powder X-ray diffractometer with horizontal sample mount. Users can use the system as a dedicated focusing-beam system for general powder and bulk samples or switch between the Crossbeam optics for multi-layer film parallel beam, small angle scattering, micro-focus, thin film high resolution and in-plane X-ray optics. The tool uses a stepping motor with minimum step angles of 1/10000 degrees control. User training is available for this instrument, but X-Ray safety training is required before users are allowed to operate. Quantum Design’s physical property measurement system (PPMS) can perform magnetic and electro-transport measurements in sample environments having 9T fields and temperatures ranging from 2 to 340K. This PPMS is configured with the following measurements options: DC extraction magnetization, AC susceptibility, torque magnetometry, and DC/AC resistivity. A horizontal rotator is also available to perform angular studies of a sample’s magnetoresistance. A variety of platforms are available for mounting samples. Additional information and specifications can be found on the vendor’s webpage. Limited user training is available for this instrument, a dedicated operator is assigned to handle hardware set-up, sample loading/unloading and measurements. The Quantum Design VersaLab is a cryogen-free, cryocooler-based material characterization platform. It executes DC magnetization measurements with a temperature range of 50–400K, and 3 tesla field strength. User training is available for this instrument. The research of our award-winning faculty covers the whole breadth of the field and extends into neighboring disciplines. The Sharp Lab offers more than 70,000 square feet of research space equipped with state-of-the-art facilities and research instrumentation. With annual research expenditures of $7.3 million, chances are we are working on something of interest to you. The Department of Physical Therapy houses a 2,354-square-foot laboratory for research in motor control, biomechanics and the Running Injury Clinic. Equipment includes a VICON motion system, Bertec force platforms, Motion Lab EMG systems and an AMTI instrumented treadmill. Shared equipment within the Center for Biomedical Research includes an instrumented split-belt treadmill (Bertec), six-camera motion capture system (Motion Analysis) and 16-channel EMG system (Noraxon). Other labs within the Center for Biomedical Research maintain a seven-camera motion capture system (Qualisys), floor-mounted force plate (AMTI), tethered and telemetered EMG systems (Motion Labs), Biodex dynamometer and Asumi 5000 ultrasound unit. DRI’s state-of-the-art facility in the Health Sciences Complex at the 272-acre UD Science, Technology & Advanced Research (STAR) Campus in Newark, Delaware, will further promote collaboration among academic disciplines devoted to advancing the science of rehabilitation, including areas such as osteoarthritis, stroke, pediatric mobility and the rehabilitation of wounded warriors. Confocal imaging, bioimaging, live-cell imaging, mechanical loading, mechanical testing, bone and cartilage processing and histology. Epifluorescence Microscopes: Upright Zeiss w/ Color Axio CamMRc5 camera; Inverted Zeiss w/ Monochrome AxioCamNRc camera and motorized stage; Upright Zeiss Image A2 w/ Color Axio CamMRc5 camera. Confocal Microscope: Zeiss LSM510 Inverted Observe.Z1 with optional lens inverter, environmental chamber and heated stage. Fluorescent Microscope and Calcium Imaging: Leica DMI6000B Inverted with high-speed EMCCD camera, motorized stage and environmental chamber. Live imaging Apparatus: Isofluorane anesthesia machine; environmental chamber; incubation system (PECON System 2000). Mechanical Testing Devices: Instron 5848 MicroTester; TA Instruments dynamic mechanical analyzer; Bose ElectroForce TestBench; custom Piezo-positioning/loading system; custom cantilever loading device; custom microindenter. Physiological Manipulation Devices: Syringe pump (Harvard Apparatus PhD Ultra); multichannel dispenser (ISMATE IPC High Precision); catheter blood pressure measuring system (Millar); manipulators (Narishig). Sample Prep and Histology: Diamond saws (Buehler Isomet 1000 and Isomet low speed precision); 3D table-top milling machine (Roland). Researchers at the Delaware Rehabilitation Institute pursue a multidisciplinary, collaborative approach to address the cellular level of osteoarthritis (OA) along with prevention and treatment. The continuation of this pursuit is afforded by COBRE funding through the National Institutes of Health. A state-of-the-art plant growth facility at the University of Delaware’s College of Agriculture and Natural Resources, the Fischer Greenhouse Complex is a professionally managed suite of growth chambers and glass house facilities serving the research and education community. High-resolution accurate mass measurement (HRMS) of organic and organometallic compounds using Waters GCT Premier equipped with Electron Impact (EI), Chemical Ionization (CI), Desorption Chemical Ionization (DCI), Field Ionization (FI), Field Desorption (FD) and Liquid Injection Field Desorption Ionization (LIFDI). LC/MS and LC/MS/MS using Shimadzu LCMS 2020, Waters Q-TOF and Thermo Q-Exactive Orbitrap with Electrospray Ionization (ESI) and Atmospheric Pressure Chemical Ionization (APCI). GC-MS (low-resolution EI only) using the Agilent 5973 system. MALDI analysis of proteins, oligonucleotides, nanoparticles, synthetic polymers and macromolecules. Mass directed prep purification is also available. High-Performance Instrumentation Lab (Room 122, Lammot duPont Lab), Protein Sequencing, Micromass model Ultima Q Tof (Quadrupole-Time of Flight tandem mass spectrometer): This is an LC-MS-MS instrument primarily used to identify proteins by sequencing the products of a digested protein. Product molecular ions and subsequent collisional activation to generate fragments are automatic. Software generated or de novo peptide sequencing can be compared to protein databases for identification. Protein Digester- Bruker Daltonics model Proteineer DP: This automated digest and prep station performs protein digests. Digest products can be automatically spotted to a MALDI sample plate or captured in MTP format for LC-MSMS analyses. GC-MS (Gas Chromatography-Mass Spectrometry): Agilent models 6850 GC and 5973 MS with autosampler. Used primarily for separation of small organic mixtures, incorporates a NIST library to aid identification. LC-MS (Liquid Chromatography-Mass Spectrometry): Thermo-Finnigan model LCQ using Electrospray Ionisation (ESI) with an integrated autosampler. Used for biological samples and polar organics. The instrument can be switched between column mode for mixture separations and loop injections for quick analyses of purer samples. MALDI (Matrix Assisted Laser Desorption Ionisation) Bruker Daltonics model Omniflex: Used primarily for biological samples to determine molecular weight and purity. MALDI- Bruker Daltonics model Biflex MALDI mass spectrometer: Used for high-resolution and accurate mass measurements; automated protein identification via peptide mass maps. The core facility is grouped into three areas; the first laboratory houses the high performance instruments for more detailed and precise analyses, a second lab houses three open-access, user-friendly instruments that are available for researchers to use 24/7, and finally, a high-performance MALDI instrument is located in Murray V. Johnston’s Lab. Traditionally, the institutional support made a primary contribution to the operational budget of NMR laboratory. A user-fee structure has been established to offset the increasing expenses of maintaining the expanded NMR laboratory in terms of the number of instruments and users. The COBRE III has been providing significant contribution to the NMR laboratory operational budget. To all federally funded investigators: please acknowledge the NIH support of this COBRE-sponsored core in all your publications where you utilized the NMR core. The language for the acknowledgment can be found in a COBRE citation webpage. Two solution 400 MHz NMR spectrometers, one with an auto-sampler and a cryogenic QNP probe and another with multinuclear capabilities, are available for routine proton and multinuclear NMR analysis of organic and inorganic materials. Also: two solution 600 MHz spectrometers, one with a triple-resonance cryogenic probe for biomolecular samples and another with an auto-sampler and enhanced 19F capabilities for expanded NMR applications such as high-resolution magic angle spinning (HRMAS) for semi-solid materials. The 500 MHz solid-state NMR spectrometer is currently equipped with a 3.2 mm triple-resonance (1H, 13C and 15N) probe for biosolids and other organic solid material. The 850 MHz spectrometer is hybridized for both solution and solid-state NMR measurements. With the ultra-high magnetic field and a large collection of solution and solid-state NMR probes, the 850 MHz NMR spectrometer covers a broad range of applications from inorganic material, synthetic organic polymeric materials to structure and dynamic studies in structural biology. In addition to the departmental NMR instrument, four NMR spectrometers with frequencies ranging from 200 to 600 MHz are used and maintained by the following research groups: Polenova, Dybowski and Rozovsky. Most of these spectrometers are dedicated solid-state NMR instruments. The Nuclear Magnetic Resonance (NMR) Facility currently has six NMR spectrometers. The NMR facilities are located in the basement floor of the North Wing of Brown Laboratories (BRL). The 600 MHz instrument is housed in 015 BRL and the remaining spectrometers are located across the hallway in three adjacent rooms (011, 011A and 021 BRL). The Protein Production Core Facility accepts internal and external requests for services. All work requests are initiated on a first-come, first-served basis, with University of Delaware members receiving priority and all other user requests being fulfilled as soon as possible. We can perform large-scale (10-20L) protein expression in bacterial or yeast systems with our BioFlo 4500 fermentor. Please Abraham Lenhoff for further information. We will purify the protein of interest from natural or recombinant sources. Our facility has two AKTA systems with the capability to purify proteins under room temperature or cold conditions. Please contact Abraham Lenhoff for further information. Our facility has Proteome XL-I analytical ultracentrifuge for characterization of macromolecule interactions. Please Abraham Lenhoff for further information. In addition, we provide consultation on experimental design and protocol development for unsupervised users (who can operate the equipment and execute experiments by themselves). The Protein Production Core (PPC) Facility is one of the shared core facilities supported by the Center of Biomedical Research Excellence (COBRE) in Membrane Protein Production and Characterization. 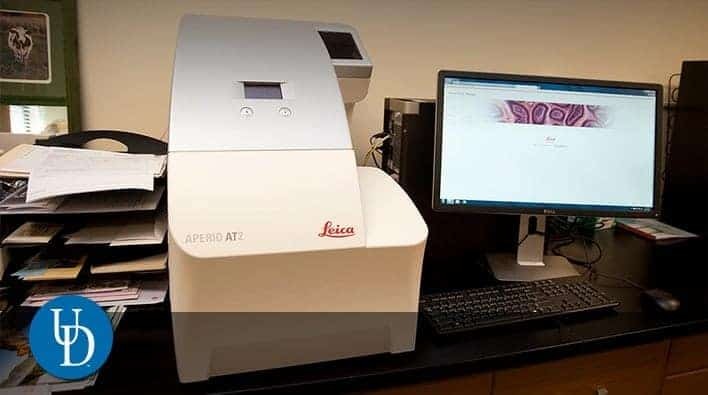 The PPC has modern instrumentation for large-scale expression, purification and characterization of prokaryotic and eukaryotic proteins for investigators and researchers. The core supports the production of proteins in quantities suitable for structural studies (X-ray and NMR) and functional studies (biological or catalytic). The PPC also has state-of-the-art analytical ultracentrifuge equipment for studying macromolecule interactions. The Proteomics and Mass Spectrometry Core Facility provides services and analyses primarily based on protein/peptide separation and identification. The facility runs two MALDI TOFTOF mass spectrometers and two electrospray mass spectrometers. Sample preparation is aided by two robotic platforms that perform in-gel and in-solution enzymatic protein digestions. We offer standard workflows for protein identification and shotgun proteomics, as well as custom workflows for a range of analytical goals such as 2D gel electrophoresis and software-based image analysis, multiplex protein quantitation (isobaric label-based and selected reaction monitoring), post-translational modification analysis and multiplex bead-based immunoassays. PCR, qPCR, DNA preparation and analysis services (including extraction, purification, quantitation and quality scoring, fragmentation, amplification, plasmid construction and preparation). The laboratory staff and associated faculty members are knowledgeable in SEM, TEM and SPM and are experts in advanced microscopy of a wide range of materials. We work with users on campus and other organizations in many areas including research, research training, and consultation. The W.M. Keck Center for Advanced Microscopy and Microanalysis (Keck CAMM) has been established since 2001 through generous grants from the W. M. Keck Foundation, the National Science Foundation and funds from the University of Delaware. This facility contributes to scientific capabilities by enabling students, faculty and other researchers in the University and from regional institutions and facilities to use state-of-the-art equipment for research and education. It houses two 200 kV field emission transmission electron microscopes, Talos F200C and JEM-2010F, a LaB6 300kV TEM JEM-3010, an FEI 120kV Tecnai G2 12 Twin transmission electron microscope, two scanning electron microscopes (JSM-7400F and AURIGATM 60 CrossBeamTM with the AURIGATM 60 being a FIB-SEM dual beam instrument), and two scanning probe microscopes (Multimode NanoScope V and Dimension 3100 V). Typical turnaround times under average conditions, from start of data-collection to completely refined structure, range from a few hours to a day. Dual wavelength APEX II Duo (Mo & Cu) Bruker-AXS CCD X-ray diffractometer. Data are collected typically at 200K. Structures are solved with SHELXTL software. The X-ray Crystallography Laboratory conducts characterizations by X-ray diffraction of small-molecule organic or inorganic single crystals. As an extension service, the facility also accepts sample submissions from other departments of the University and from local, national and international collaborators of academe and industry. The facility also serves as an ancillary graduate research laboratory for selected graduate students pursuing studies in inorganic chemistry leading to a doctorate degree.